Telepresence Robots for several applications! A telepresence robot is a remote-controlled, wheeled or tracked device that has wireless internet connectivity. Typically, the robot uses a tablet to provide video and audio capabilities to the remote user. Nowadays, Telepresence robots are widely used to stand in for tour guides, night watchmen, factory inspectors and healthcare consultants. In a distance education class, a telepresence robot can move around the room and interact face-to-face with individual students. In business, a telepresence robot can be used to help an employee whose disability or location prevents him from traveling still have a physical presence in the office. More in general, telepresence robots allow people to move virtually through a distant building by remotely controlling a wheeled robot equipped with a camera, microphone, loudspeaker and screen displaying live video of its pilot’s face. They are also very useful to explore dangerous places and, for example, check the physical conditions of injured soldiers on military fields. You can remotely control up to 12 Proportional Solenoid Valves, read the solenoids status and check the current system status! You can also use the board outputs to switch ON/OFF other devices like DC motors or Digital Servos. The board can use XBee or XBee PRO radio modules if you need to implement mesh networking. 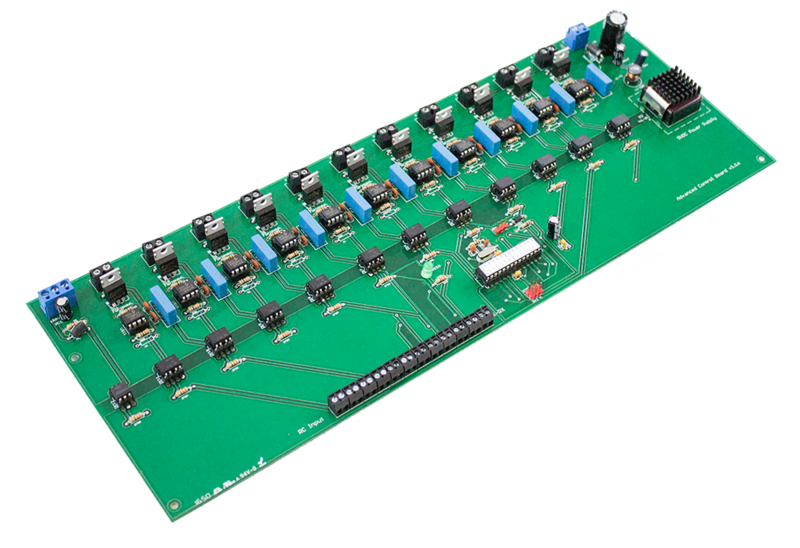 Ex-Board can also accept up to 8 RC inputs from a RC receiver in order to let you controll all the board behavior and the solenoids by using a RC Transmitter or it can be equipped with a Wi-Fi module. Proportional valve spool position is strictly related to the applied current and not the applied voltage. This is because coil resistance is not constant, but rather it increases with temperature. Ex-Board comes with a temperature sensor so it is possible to compensate the temperature’s changes by software. The current ranges from 1.0 amps to 2.0 amps according to most valve manufacturers. It is possible to set the maximum current (the standard value is 2.0A) and to use PWM to proportionally open and close the valve in order to regulate the flow and the pressure. You can set every single features in Ex-Board by writing our own C++ code or by using the Arduino IDE. In this way, user can choose when to switch ON/OFF the solenoids, how to set and configure the fluid flow by changing the proportionality on the hydraulics valves. 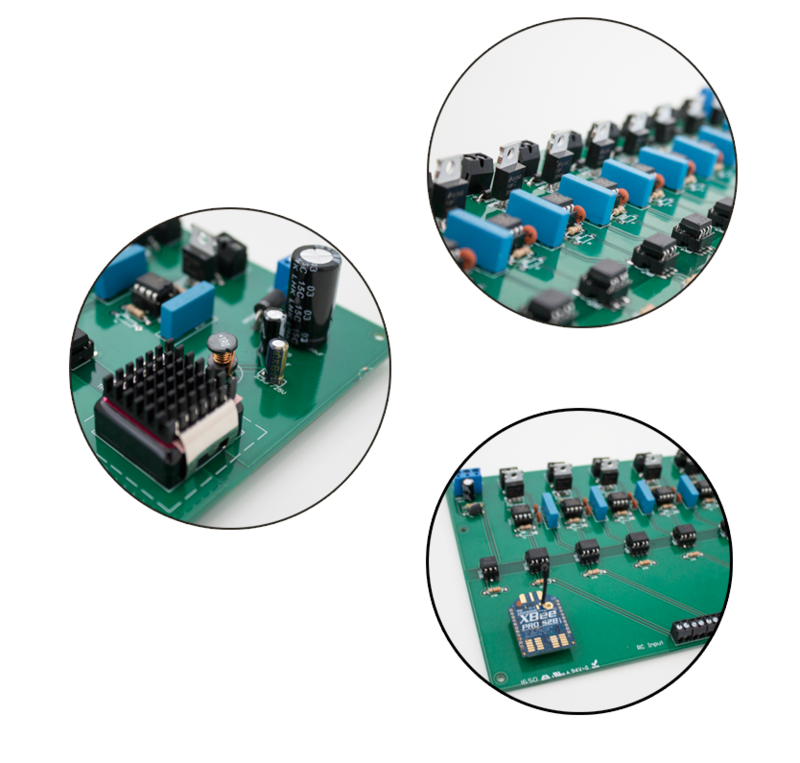 It is also possible to manage all the inputs (RC, digital or analog inputs) or to use the PWM outputs for different purposes like controlling DC motors, servos or fans. The Ex-Board is the first and only board for PWM proportional hydraulics valve control which can be used with ROS and Linux without problems. In order to let all the ROS users enjoy all the features of our board, it is possible to launch a ROS node that offers all the functionalities of the board and let the user controls everything by changing parameters in the launch file (ex-board.launch). Do you need extra outputs or inputs channels? Do not worry! just use more than one Ex-Board and stack them on top of each other! One of the most important aspect for a proportional valve control is to avoid noises and sparks since they can destroy or reset the CPU by generating dangerous errors or damages both on valves and also on other devices. For this reason, Ex-Board is fully isolated thanks to a powerful isolated power supply and all the signal control area is opto-isolated from the power electronics; this solution provides the best stability and performances in every conditions. You can order now your PWM Solenoid Valve Controller Driver or you can just ask us further information about it. Since there are two versions of Ex-Board, please, specify if you are interested in the ATMEGA or Cortex CPU and if what kind of connectivity you need. Obviously, we can also provide you support for your final application so, if you need advices and suggestions on your hydraulics or oleodynamics system, feel free to ask us without problems!